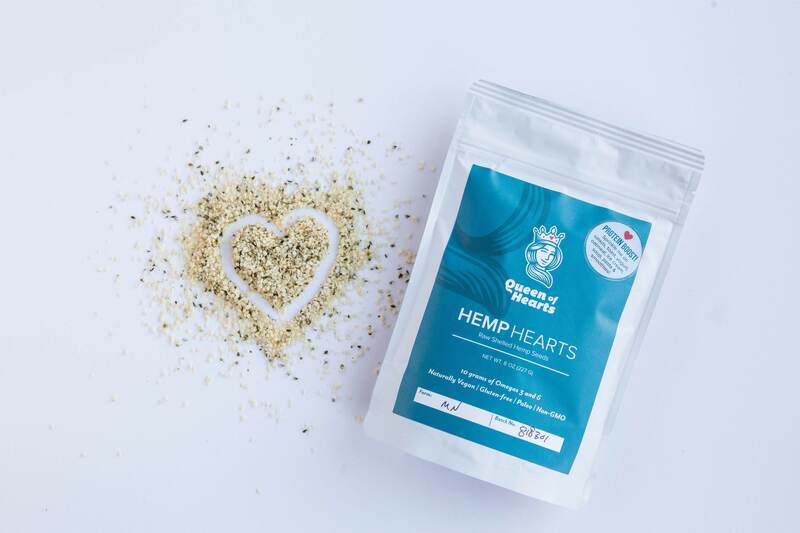 Hemp Hearts, 8oz (by Queen of Hearts Hemp Foods) – Cascadia Hemp Co. 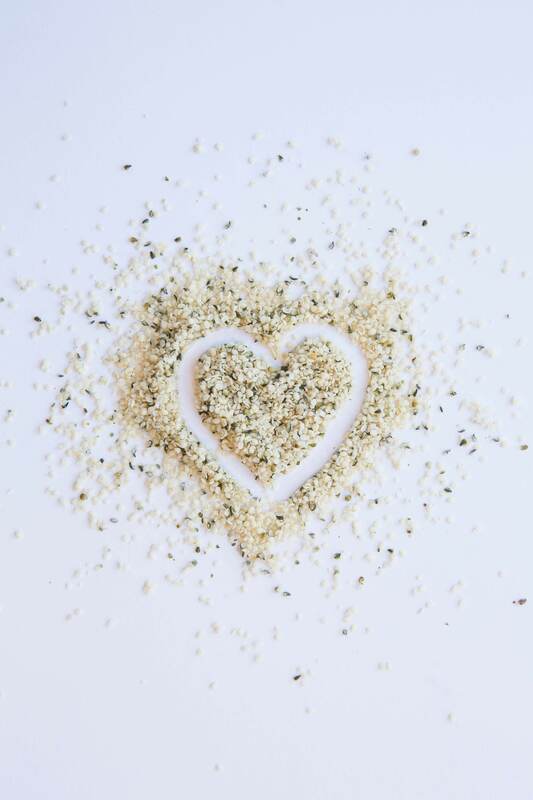 The most delicious and versatile hemp food is the great hemp heart, or the soft core of the hemp seed. These delicious morsels have a nutty taste and pair fabulously with cereal, granola, oatmeal, toast, ice cream, smoothies, and many other dishes. Queen of Hearts sources hemp seed from American farmers and processes them in their facility in Hood River, OR. 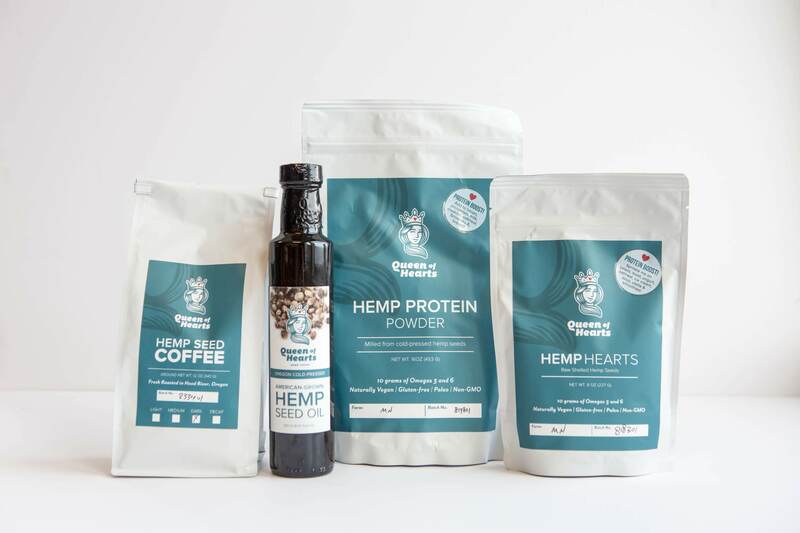 Hemp hearts are a nutritional powerhouse that fight inflammation and promote brain function. They are rich in Omega-3 and Omega-6 fatty acids, folate, thiamine (Vitamin B6), niacin (Vitamin B3), riboflavin (Vitamin B12), magnesium, manganese, potassium, copper, iron, and zinc. They contain all nine essential amino acids, the powerful anti-oxidant tocopherol (Vitamin E), and phytosterols, which help lower levels of bad cholesterol. Because hemp hearts are delicate, they should not heated in any way and should be kept in a cool, dark place. Refrigerate after opening to preserve freshness.